With this in mind, I'm sorry if I have deceived you. I wrote a blog post titled Am I Autistic? over six months ago. My conclusion was I exhibited a lot of ASD traits/behaviours but no, I absolutely was not actually autistic. It seems I may have thought I wasn't autistic but others - specifically my parents and Wolf - are of a differing opinion. Not necessarily at the time of me writing the blog post but certainly more recently. We had a conversation about ASD a few weeks back (a pretty regular occurrence in this household) and it came up. Since then, I have read up a bit more on females with Asperger's and have even taken a pretty good online test...with the conclusion I probably am autistic. I've started to assess my behaviour in the way I do with Tyger and it's a little disconcerting. There are certain things it seems I do - and probably have done for years - that I was totally oblivious to. Apparently, I violently rub my face when stressed. I also bite my thumbs (not like some Shakespearean character trying to insult someone in a rival family but biting down on the knuckle absent-mindedly). Like this. Huh, looks like my teeth are off-centre...never noticed that before. Having asked my parents what my most obviously autistic traits are they've said I'm obsessive, like routine and have always been a bit of a loner (and the close friends I have had have generally probably not been neurotypical themselves...and at least one of them reads this blog so...umm...not you, obviously...). I don't know what they're talking about. It's not like, when I was a teenager, I used to read through my Friends books listening to my Friends CD with my Friends poster staring down at me and test myself on my Friends knowledge using my Friends daily calendar in between each episode of Friends...when I'd always make sure I had a mug of milk (Friends mug, of course) on my Friends coaster with the same number of biscuits in plenty of time so I could always clap along with the theme tune...on a Friday night...at home...with my family. An obsessive, routine-driven loner! Pfft. This week I went to the first session of the 'EarlyBird' programme (a course for parents of young children with ASD). What better place to start analysing myself for autism than on a course all about autism with a load of parents of autistic children? First clue was how anxious I was about going. New place, new people, not knowing what to expect - it's a lot to stress about and stress I did. Queasiness and pressure on my head and face (somewhere between numbness and feeling like they were being squashed) seem to be pretty reliable signs of my anxiety. Actually, Wolf has said I'm at my most autistic (he probably worded it differently, to be fair) when preparing to go somewhere new for a specific time. I'm not sure exactly what I do! Once there, I coped pretty well with going in (desperately trying to remember the direction from which I entered the building so I'd know which way to go at the end because I could get lost in a phone box) and meeting everyone. I did almost have to leave the country and live as a hermit forever more after declaring the big hot water flask for tea and coffee was empty only to find out it needs pumping. I valiantly stayed and didn't even curl up into a ball in the corner! The room where the course is held has those horrid tube lights. I have problems with light. There are days when it's not hugely bright out but I find myself squinting and struggling to look up at all (not at the sun but just up near the sky), whilst everyone else is unaffected. That's nothing compared to my problems with artificial lights, though, and certain colours of bulb that make everything seem either really saturated or unsaturated and I can't focus on anything properly. It comes up in my dreams a lot and I spend a lot of my time feeling like I've suddenly gone from darkness to bright light and my eyes haven't adjusted yet and those lights didn't help. There was constant noise, too: rain drumming on the roof, a video playing in the next room, people in the reception area. It made it hugely difficult for me to focus on the video we had to watch. And I noticed myself doing...things. People with autism often have a problem with 'proprioception', which is your ability to know where your body and limbs are in space without having to look. Sounds ridiculous, right? How can you not know that? That's what I thought until I realised at this course that I totally have problems with it. I was sat there struggling with the lights and the sound and realised I was doing all these little things to keep me 'grounded'. I was constantly rubbing my toes together, I had my legs crossed and was pressing the top leg into the bottom one really hard. And I was constantly pinching myself, digging my finger nails into my hand, pushing my fingers together or stretching them really far apart. What happened if I made myself stop doing all these things? I really did feel like my body was floating, like I couldn't really feel my limbs without concentrating really hard on them and on the feel of the fabric of my clothes touching them. I sat there listening to people talking about the sensory issues people on the spectrum have and they were talking about me. Not that anyone would have known to look at me: they couldn't see inside my shoes at what I was doing with my toes, couldn't tell how hard I was pressing on one leg with the other, and it's easy to push your thumb nail into your hand so nobody can see. See, just normal hands with fingers interlocked. Except, I'm pressing the nail of that bottom thumb in my finger. It was thought ASD was far more prevalent in boys than girls. However, the more we understand about autism the more evidence suggests girls actually present in a very different way and tend to be very good at 'masking' their ASD. When it comes to supposedly 'higher functioning' ASD, these girls' autism goes completely unnoticed until they reach puberty and then the combination of physical and emotional changes, the increased social pressure and the greater academic demands suddenly all combine to completely overwhelm them and that's the point at which - if they're lucky - they might get a diagnosis. If I have ASD I have always been very good at masking it. I have been so good at masking my autism, in fact, I've hidden it from myself. What now? What am I going to do with this information? I don't think I'll try to get a diagnosis. Not right now, anyway. I will need to start pushing to get Bear diagnosed soon and I don't think I can cope with both. What I will do is cut myself some slack. I have always thought I was a terrible friend because I find it really hard to reply to messages or initiate contact or meet up. I agonise over every 'hi, how are you' and response. I start messages and never finish them because it's just too much. Knowing there's a good chance I have a disorder that predominantly affects social interaction and communication makes me feel a little less guilty. I'm not an uncaring friend; I'm autistic. I have always suspected I'm a bad parent because at times I know I should be playing with the cubs and instead I am sat on my laptop. I think actually my ASD means I get so overloaded by the boys' constant noise (which is part of their ASD) that I retreat and the only thing that stops me breaking down and crying in the bathroom is focusing on my laptop for a while. 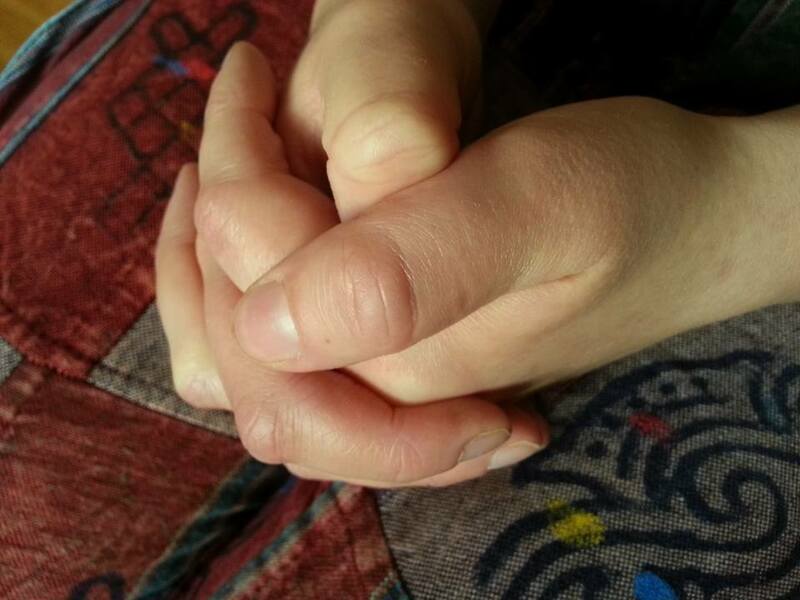 I'm not an indifferent mum; I'm autistic. I always thought I was useless because I don't do things I know I need to do like sorting out various insurance or phoning the hospital about something. I knew I was physically and intellectually capable so didn't understand why I just couldn't bring myself to do these things until well after the point where they needed to be done. Now, I understand my problems with executive functioning and anxiety - both elements of ASD - are probably to blame. I'm not lazy; I'm autistic. Knowing I'm probably autistic is enough at the moment. It's a relief just knowing why I am the way I am. The journey to choosing whether or not to get a formal diagnosis is different for all of us. I recognise so much of what you've written here. I'm 47 and only got diagnosed last year. So many women get missed. Love your blog. The more people that are being made aware of autism, the more people are recognizing the signs and symptoms in others and quite often themselves. Never try to change, be who you are and I read recently that disorders like high functioning autism and Aspergers could well be just a different type of normal. Sounds good to me! I hope your post helps your friends to understand a little more about you. Thank you. I was a bit unsure of this post but have had a lovely reaction. I know there's a chance I'll decide to go for a diagnosis at some future point (especially if, for instance, I get a job once the cubs are in school) but right now it would be too much. Glad to hear you got a diagnosis and hope it has been of some use or comfort. I'm trying to be a little easier on myself! The funny thing is, I always knew I reacted slightly differently to light than others but it took so long for me to twig why that might be. Now we know about the Asperger's end of the spectrum it's evident there are many autistic adults walking around with no idea they have ASD. I think I do feel better for writing these things down and also knowing there's a chance I'm helping other people in similar situations. I hope it will be relatively easy to get Bear a diagnosis since Tyger has one and it's pretty well known now that ASD can run in families but we'll see. We'll see. Maybe I'll try to get a diagnosis in the future. I think a lot of people who know me would be surprised to learn I'm probably autistic so I thought it was worth pointing out you wouldn't necessarily pick up on many of the 'clues' from the outside. It's certainly much more prevalent than was thought a couple of decades - or less - ago. I'm glad you have that awareness. Hopefully I'll be able to go easier on myself now. It does seem to help a lot. I guess I wasn't as self aware as I always thought before now! Really fantastic post. People definitely underestimate the relief of KNOWING yourself - whether it's a physical or neurological illness that's troubling you. I'm so glad you have some answers and can work on taking care of yourself too. What If There Was a Cure for Autism? Where Am I Going Wrong (or Right)?